You may have heard the expression, “Content is king.” (Or queen.) At ACS, we believe that’s absolutely true. Great websites, great marketing, and great results all begin with great content. Content can help your business grow, when you use it the right way. Welcome to the world of “content marketing.” In this post, we’re going to tell you all about what content marketing is and what to expect from companies on the cutting-edge content marketing this year. Your customers expect a lot from you. Sure, they expect exceptional service and great products. But they also expect you to show off your expertise. They need to know that you’re the absolute best company for their project. That you have the skills and experience to deliver what they need, on time and on budget. Content marketing is one way to prove yourself to skeptical customers. This type of marketing takes many forms. Emails, white papers, e-books, blogs, podcasts, social media posts, infographics — you name it. It’s all about giving your customers something valuable, usually in exchange for something from them. The content itself is valuable to the customer, and the customer’s contact information is what’s valuable to you. Of course, it’s really about more than collecting email addresses. In the long run, content marketing helps you build trust with customers. It shows them that you know what you’re talking about. You’re a leader in your field, and customers should trust you to do great work for them. Content marketing isn’t a new idea. It’s been around for a while, and some brands are taking big swings to make their content stand out. In 2018, we expect to see more content across more channels, including branded podcasts and live videos. Here are just a few content marketing trends to look out for this year. According to the Content Marketing Institute, we’re in the middle of a “verbal revolution” when it comes to digital marketing. What does this mean? And why should you care? Basically, more people are relying on devices like Amazon’s Alexa and Google Home to search the internet. You can say something like, “find pizza near me.” And the ever-helpful Siri will give you her best guess. Marketers will spend 2018 figuring out how to align their content with voice search results. For instance, people talk differently than they type. So, you may want to orient your content around a full question (voice search) rather than a single keyword (traditional search). 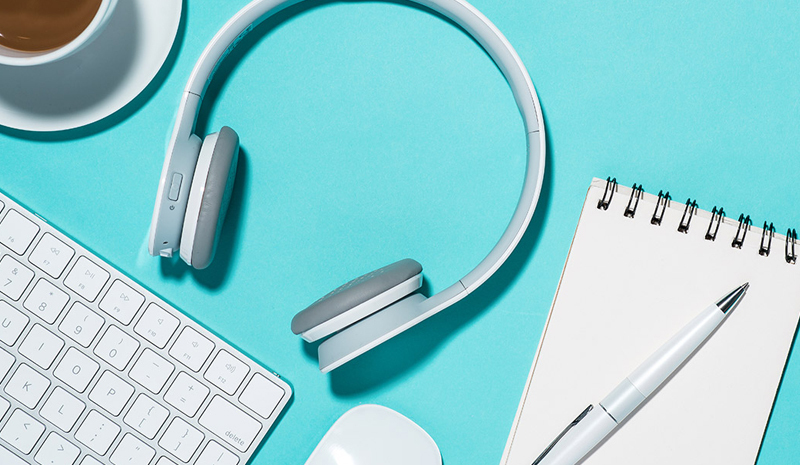 Beyond audio assistants, some content marketers are getting into the world of podcasts. Unlike broadcast radio, podcasts pop up on smartphones and desktops. These audio stories and shows have a growing community of avid listeners. One major player in this new space is Gimlet Creative, the advertising division of the podcast production company Gimlet Media. Now owned in part by WPP, Gimlet Creative helps brands like Microsoft, Gatorade and Spotify create long-form podcast content. Engaging video content is more important than ever for marketers. According to marketing consultant Neil Patel, live video presents an especially important opportunity in 2018. Patel writes that although most marketers have tried video in general, only a small percent have ever dabbled in live video. With the growing popularity of Facebook Live, brands can try their hands at short-form, real-time videos to engage with their fans. Maybe you’re not ready to be the next branded podcast sensation, and that’s completely okay. You don’t have to have a huge budget to start content marketing. You just need a plan. Step back and consider the best content marketing strategies for you. What do your customers want to know? What does success look like for you? How will you measure your ROI? ACS Creative can help you find answers and work with you to get your content marketing campaigns off the ground. Want to try content marketing? Get a professional perspective from the media & content experts at ACS Creative!